Our mini studio family portraits are a nice way to get a few images in a short space of time, as a mother of two children myself and after years of capturing little kids I know only too well how quickly they get over it, so this allows your family to capture some beautiful images to hang on your wall in the comfort of our Air Conditioned/ Heated studio in a short time frame. 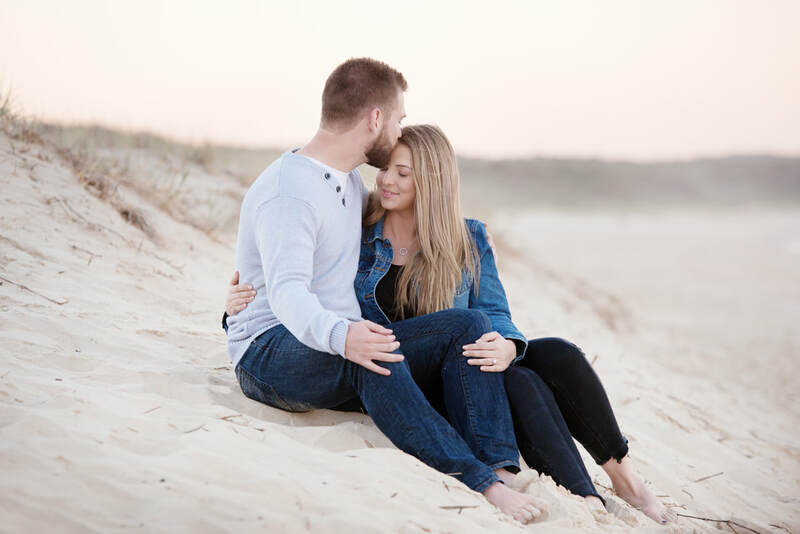 Our Maternity portraits allow you too choose between studio or location portraits, we offer you a range of maternity gowns for your use. 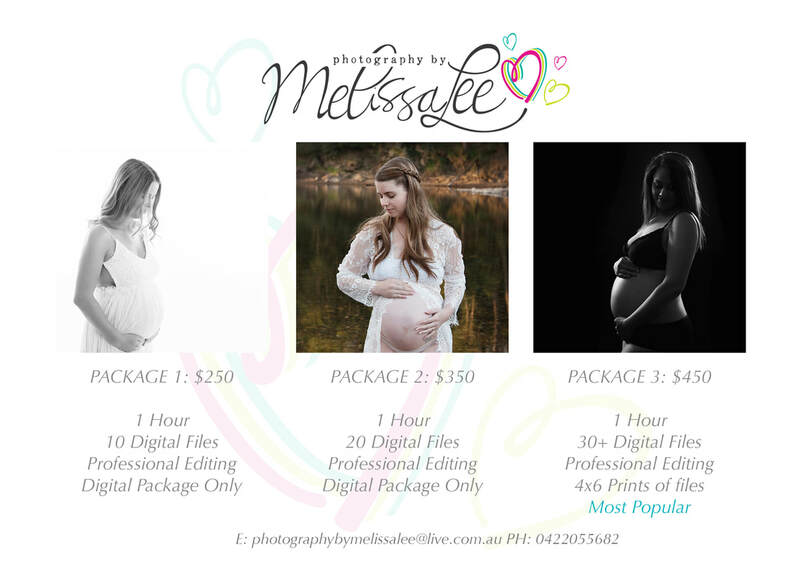 After capturing maternity portraits for the last 8 years Photographer Mel knows just how important these memories are but how self conscious we as women can sometimes be. Newborn portraits are best done within the first 14 days of baby being born ( although they can be done a little older ), our newborn portraits include family and sibling shots. 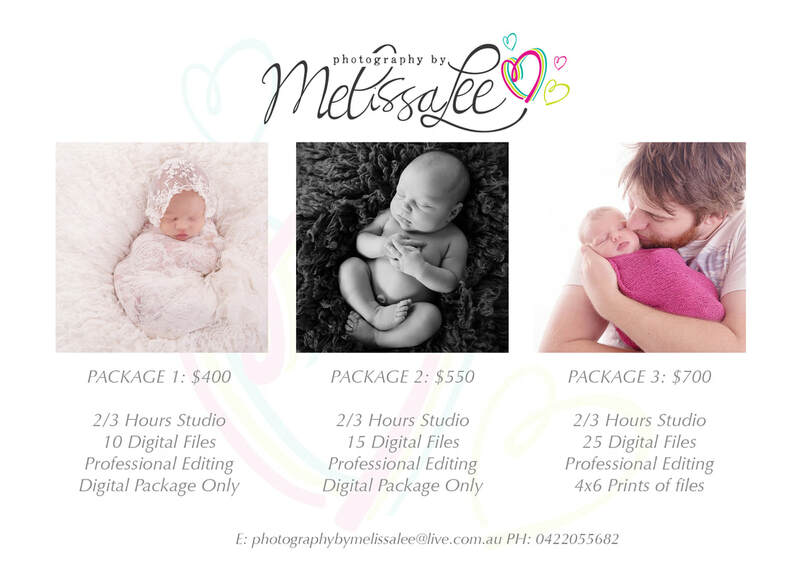 These packages do only reflect studio newborn portraits however you can move your session to your home or outdoors for a more natural less posed option if you wish. 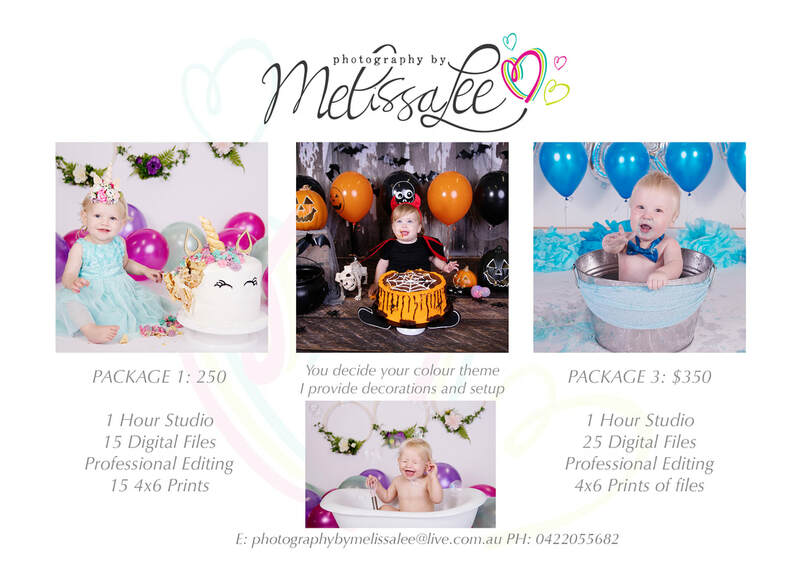 Photography by Melissa Lee has a range of different props & backdrops that are available for use however you are more than welcome to bring along anything that maybe special to your family. 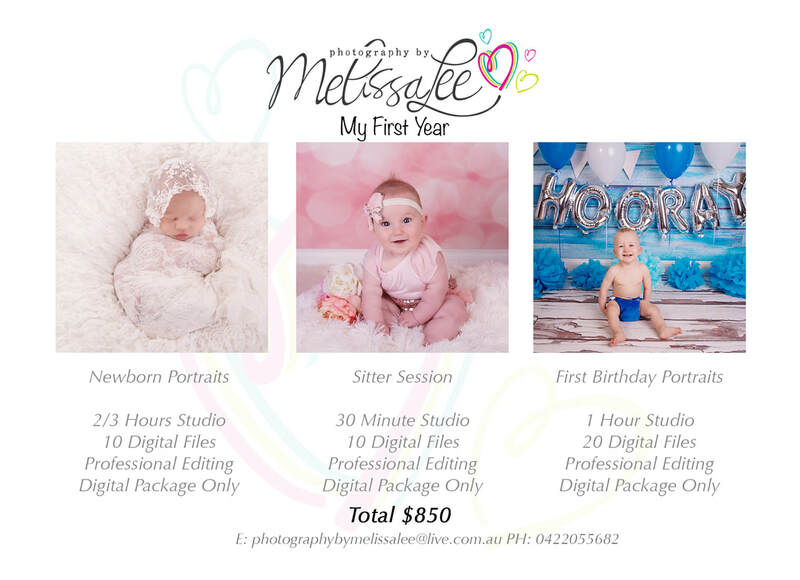 My first year package is a great way to capture all those milestones in their first year, you can either choose to pay your package in full up front or you can choose it pay it off over the year with our direct debit, simply pay the upfront $300 deposit to book in your newborn portrait session and you are only than required to pay $11 per week via our direct debit setup. This is a great way to capture all those memories. First birthday portraits are available as either a cake smash or just a portrait session. 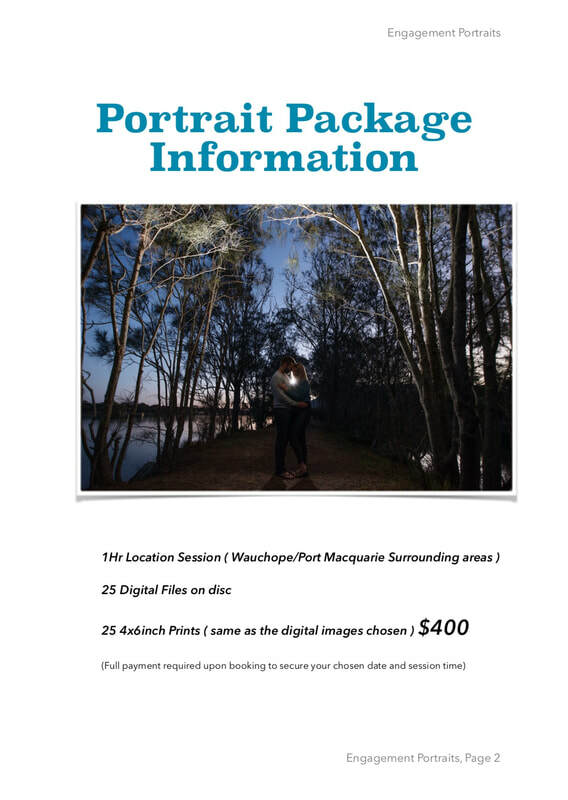 Portrait sessions can be done in studio or out on location. If your choosing a cake smash session you are to provide the cake due too allergies some children may have. You can get creative and make it yourself like most of my parents have or have someone make for you like I would because I am not the best cake maker. Full family portrait sessions are better outdoors were it allows the kids to have a little more freedom, my style is to capture a mixture of posed and natural shots, while you as a family enjoy yourselves. The location can be completely up to you, it can be on a property of your choice, at your families favorite beach or park or it can be a spot completely out of the box, wherever you like. 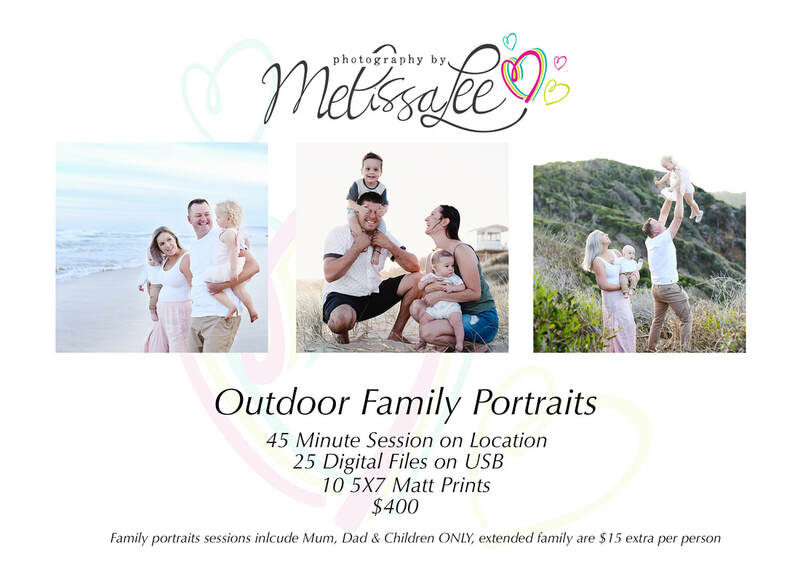 Outdoor family portraits are booked one hour before sunset, so depending on the time of year that will determined the start time, studio sessions can be done anytime of day as they are controlled lighting. By joining up too our Vip club members packages you receive the following session's under the $9.95 payment plan. 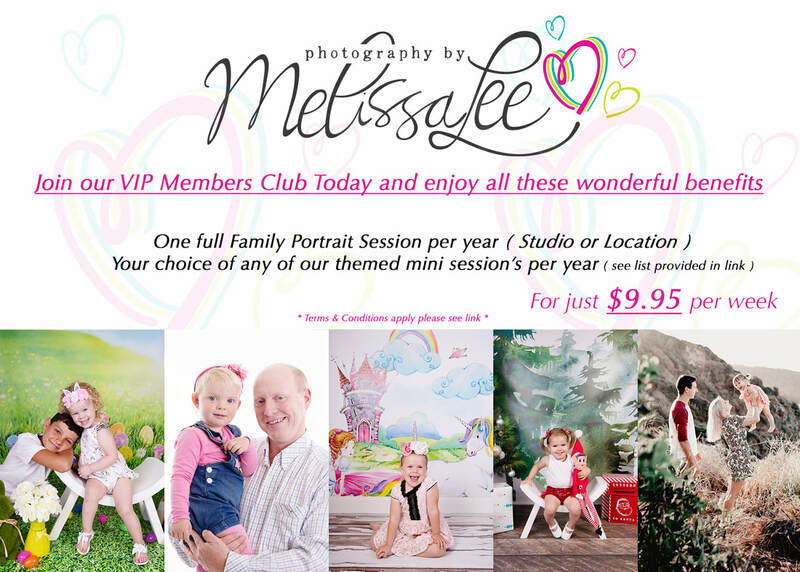 Mini sessions include: Easter, Mother day, Unicorn, Dinosaur, Father's Day, Christmas. 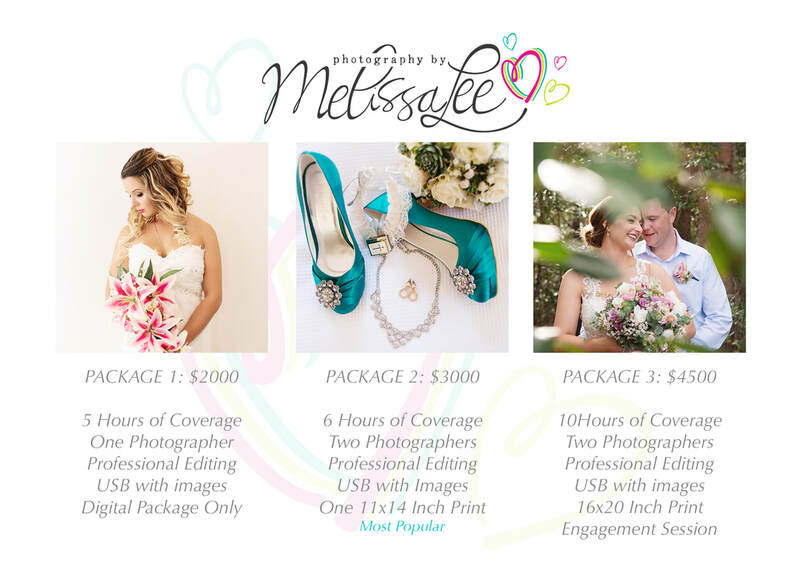 You get all of this for one small payment of $9.95 per week for one year thats over $300 worth of session's for FREE! If this is something you'd like to sign up to please follow the link provided. 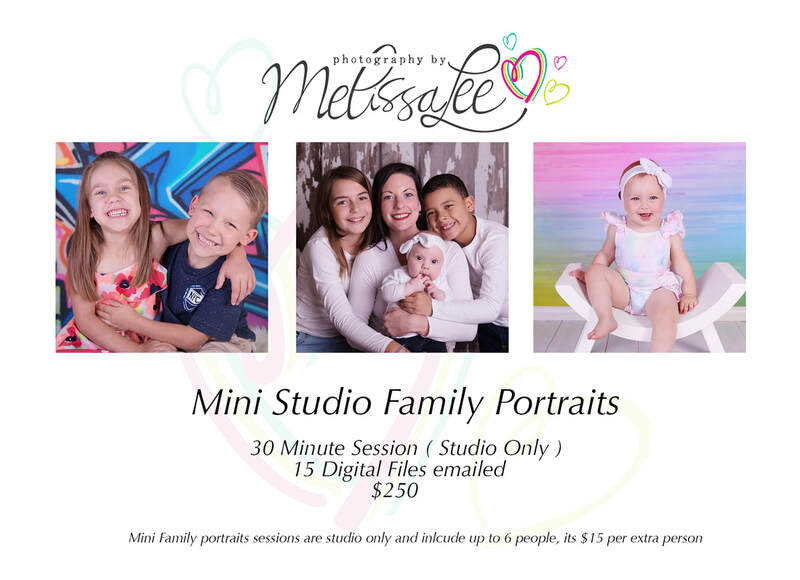 Term's and conditions: upon signing up you can start claiming your mini session's straight away as they open up, your family portrait session can be claim 8 months from your sign up date.